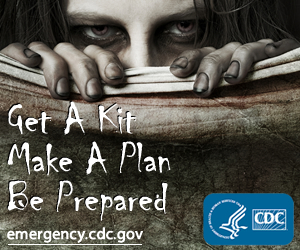 I notice the CDC didn't make any recommendations about having weaponry for the Zombie Apocalypse. And, seriously, if you DON'T have weaponry in a Zombie Apocalypse, you're just setting yourself up for a painful end. Just like a like of disasters and emergencies, really.